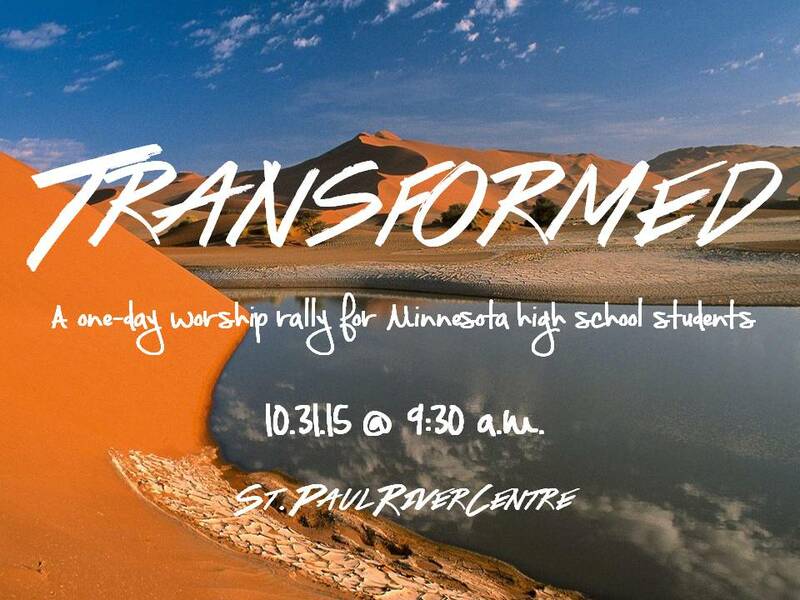 “Transformed” Youth Rally – Coming, October 31! Be transformed as you discover the amazing things Jesus wants to do IN you and THROUGH you during this exciting, one-day rally, coming to the St. Paul RiverCentre on Saturday, October 31. This rally is geared for high school students*** and will include worship music led by Union College students, fun activities to help you connect with other Minnesota teens, and meaningful Bible messages that will encourage you in your relationship with Jesus! The transformation begins at 9:30 a.m. We can’t wait to see you there. Don’t forget to bring a friend! Pastor Jackie James is our guest speaker for the rally! Pastor Jackie currently serves as the Assistant Pastor at Camelback Church in Phoenix, Arizona. He was born and raised in Miami, Florida and graduated from Southern Adventist University in 1995. 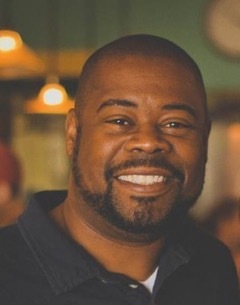 He has been a chaplain at both Fletcher Academy and Forest Lake Academy as well as assistant campus pastor at La Sierra University. Before accepting his current position, Pastor Jackie was a recruiter for Southern Adventist University for 9 years. He is passionate about the Word of God and helping people live an authentic walk with Jesus. Times: Sessions 1-2: 9:30 a.m. – 1 p.m.; Lunch: provided offsite (details coming soon); Session 3: 3:00 p.m.- 4:30 p.m. Cost: This event is completely FREE to attend. Parking at the RiverCentre is FREE for those who arrive before 10 a.m. For those arriving after that time, there will be a fee of approximately $10 to park in the RiverCentre Parking Garage. *Please note: Registered participants will be bused to and from the South St. Paul Hispanic SDA Church for lunch. Only participants who have registered and turned in a signed parent permission form will be allowed to board the bus for lunch. Pre-Registration – Pre-Registration is now closed. Please register upon arrival. Permission Form: If you are under 18, you’ll need a parent permission form for lunch. Download it here. ***Special Note: Though the “Transformed” Rally is specifically geared for high school students, it coincides with the return of Shawn Boonstra and the Voice of Prophecy Rally, which will be located in the same building, across the hallway. Please contact your local pastor or visit the Minnesota Conference of SDA website for more information about the adult meeting and childcare. Can we get a little more information about this event? Who is the speaker and a bit more about the content being presented? What is the age range? Is there a cost? In order to promote this to the youth & young adults in my area & possibly arrange transportation for them, I will need more information to pass along, as well as know when the registration is open. This event is coming up soon, so if I could get a timely response it would be most appreciated. Hello Susan! Thank you for your great questions regarding this event. I will add in details to the original post in response to your questions. Thank you for your willingness to promote this event to your teens! Are the permission forms for lunch available? Thanks Milka! They aren’t ready yet, but will be uploaded soon! Fall High School Retreat Registration! Fall Youth Retreat Info Coming Soon!